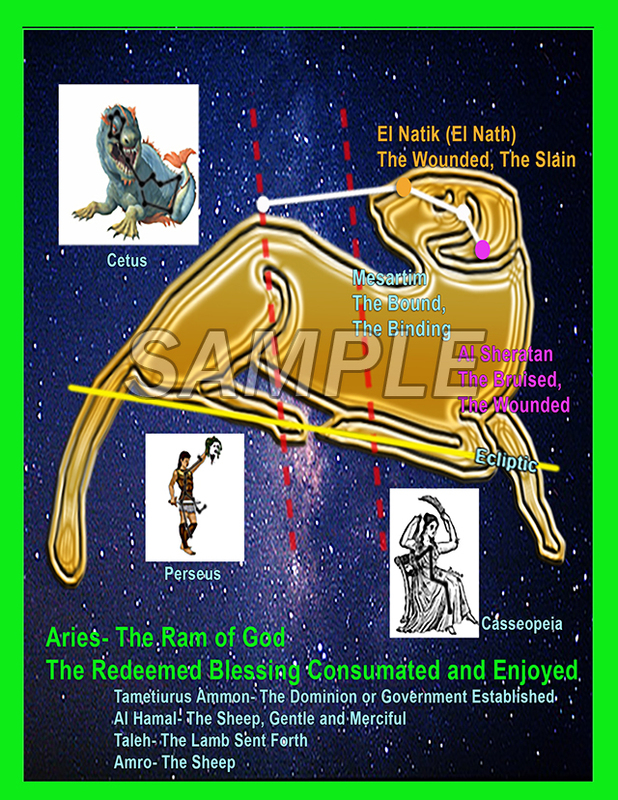 This attractive Color Glossy 8.5 x 11 poster of "Capricorn-the Goat of Atonement" is shown with the three associated Decan star groups. Each Decan is labelled showing its 10 degree red line division within the 30 degree constellation. 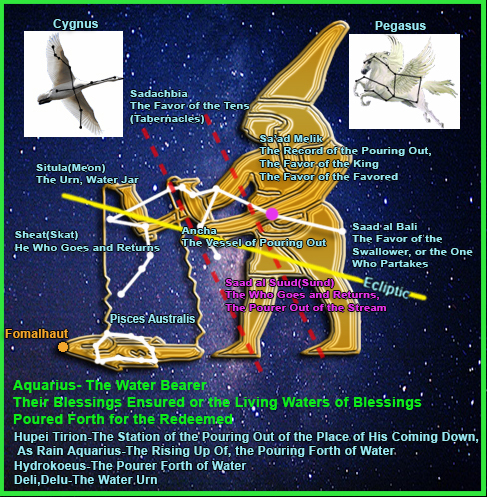 The primary stars in Capricorn are named with brief definitions of their Hebrew names, as they relate to the significance of the ministry of Jesus Christ. 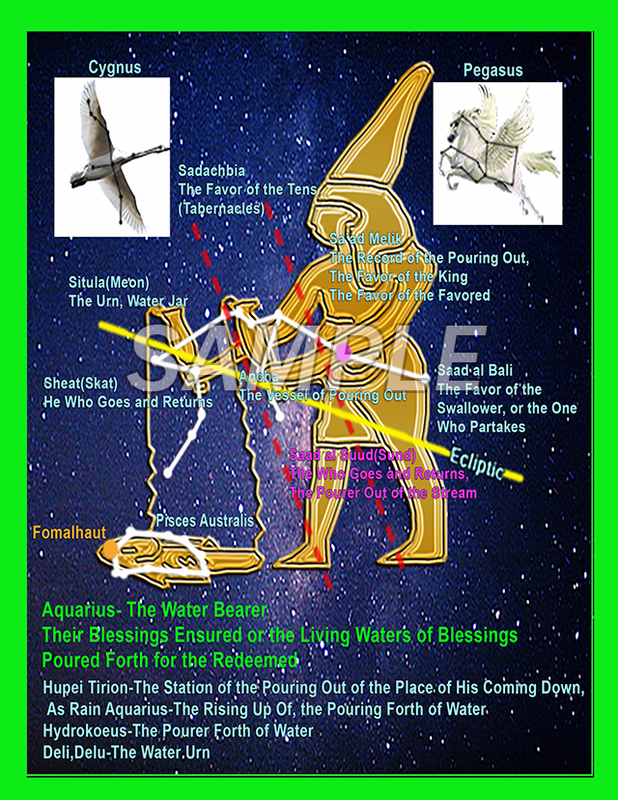 The two brightest stars in Capricorn are labelled in Gold and Purple showing the primary Biblical message of the Constellation in terms of Jesus Christ. The relation to the ecliptic -the Sun's path in the heavens is also depicted showing the Sun link to this sign throughout the year.